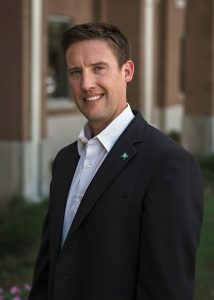 This guest blog is by ELGL member Matt Mueller, the city manager of Little Elm, Texas. I will be celebrating my six-year anniversary with the Town of Little Elm next month and it has been a fun ride. At times, it feels like playing Sim City for a living. Little Elm has the benefit of being located in one of the fastest growing regions in the country and has gone from a population of around 3,000 in 2000 to nearly 40,000 today. Unlike many of the rapidly growing communities around us, Little Elm did not have a historical foundation upon which to build, the community was a fork in the road surrounded by farmland and lakefront properties. It’s now an exciting lakefront suburban community where everything has been built over the past 15 to 20 years. Keeping up with this type of growth can be challenging, but also very exciting. Much of the emphasis during this growth has been to keep up with the external services such as roads, utility infrastructure, parks, and public safety services that our new residents need, so they can enjoy a spectacular quality of life. With so much effort placed on keeping up with external services to accommodate the growth, we are now looking at what steps we need to take the organization to the next level. We haven’t dedicated as much time to chasing down innovative ideas as new programs or pilot projects. One of our four core values is efficiency, and one of the areas that we try to put this into action is our staffing levels. Last year, “The Dallas Business Journal” named Little Elm the “leanest local government in North Texas,” which is a level of efficiency that we hope to maintain. To do this we heavily scrutinize new staffing requests to understand the long term impact to the Town. After careful consideration of where we want to take the organization, and how we could maximize implementation of new programs, we decided that it was time to add an Assistant to the Town Manager position to the organization. I believe that this position will be beneficial in many ways, not only to the organization, but also to the individual hired. This position allows us to have someone responsible for the important internal functions that speak to organizational effectiveness, sustainability, and give the leadership team someone to assist them when it comes to living up to our core value of innovation. Someone on the path to local government will find this an exciting opportunity. It will give daily exposure to the overall functions of local government and allow the individual to gain tremendous experience in managing programs all throughout the scope of municipal services. Little Elm’s Assistant to the Town Manager will get to serve on the organization’s executive team and be given a high level of autonomy to manage their projects and programs. 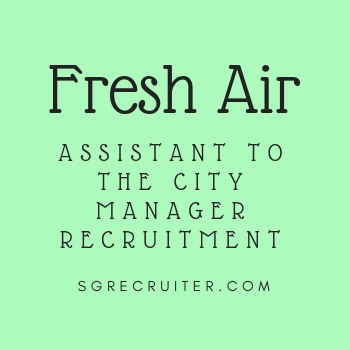 It is a perfect step for someone who has completed their education and has some level of local government experience, but may lack the experience for department head or city manager. This position seemed like a natural fit for SGRecruiter©, innovative new recruitment platform developed by SGR and TeamZac. We want an opportunity to recruit the best and brightest nationwide, because this position is vital to the goals and objectives of the Town. This platform allows us to recruit in a way where we are able to look at the qualifications and experiences in an extremely objective way. The more I work my way through the system and review the candidates, the more optimistic I become about finding a person who has the right qualifications for our position and the right fit for our organization. SGRecruiter©, is an innovative platform developed by SGR and TeamZac that is changing the nature of recruitment with its innovative approach in connecting local government organizations with outstanding candidates. Prospective candidates register with SGRecruiter and upload their resumes. The prospect’s name and employers are masked making it safe for passive candidates to be in the market confidentially. Employers create a job posting and SGRecruiter’s algorithms match the job posting with prospects for that specific job. The platform delivers a list of masked prospects whose experience and desired background match the posted job. Employers and prospects can communicate directly within SGRecruiter. Prospects decide when to reveal their identity to continue discussions or stay masked and wait for a future opportunity. Employers can now recruit in a very objective way. SGRecruiter© is free for prospective candidates to use. Employers can use the system to search for candidates at no cost and pay a fee only if a prospect is hired.